With the impending arrival of the Roco Z21 digital system and its tablet based control system we thought we would take a look at some other model railroading related apps for those who own an Apple iPad or iPhone (we will try to cover Android apps at a later date). Click on the titles of each app to go to the Apple app store. 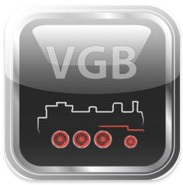 SEPTEMBER 2012 ONLY: To promote the app, VGB has made all 2010 back issues and some special issues of the magazines available for FREE during September 2012. 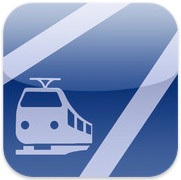 Bahn_Kiosk is the free mobile app from VGB, the distribution group for MIBA, Eisenbahn Journal and Modelleisenbahner magazines. The app lets you purchase and read the monthly magazines as well as special issues and other books and publications right on your iOS device. This is a great way to get access to the latest German model railroading publications without have to pay for an expensive overseas subscription. While the magazines are in german, the app is localized for a english so non-german speakers will still be able to find their way around the app. All the publications have a preview of the cover, table of contents, and first few pages you can download without cost. The digital magazines cannot be transferred off your device but the app does support printing from iOS. Similar to VGB's Bahn-Kiosk, Eisenbahn Kiosk is from Geramond, publishers of Bahn EXTRA and LOK Magazin. Both magazines cover the prototype railway scene in Germany. The free app allows you to purchase digital versions of both current and back-issues of the magazines and some assorted special issues. The app is not localized as much as the Bahn-Kiosk app so non-german speakers may have some issues navigating the app but those with basic german should be able to figure things out. 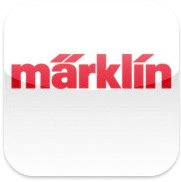 This free app from Marklin features their entire current product catalog in a mobile app. Unfortunately each catalog year is a 2.50 Euro in-app purchase but with over 1000 products in HO, Z and 1-gauge the app is a great on-the-go reference. It features a 'favorites' list, a dealer-directory (they seem to have forgotten all of Canada though) and a short quiz on Marklin products. The app is localized for english and other languages. It is built specifically for the smaller iPhone screen but iPad users can use the x2 button to expand it to a full screen view. This $12 app from Marklin for the iPad is a MUST HAVE is you own a Marklin Central Station 2. The app connects to your CS 2 over your wireless network and lets you add up to 8 locomotive controllers as well as a full accessory/solenoid layout and graphical track diagrams. It assumes all the settings from your CS2 so you do not need to enter the configuration of your layout twice. GREAT for those with large layouts as it gives you full wireless walk-around control. Similar to the Marklin Main Station app above but reduced in scope for the smaller form factor of the iPhone or iPod touch. 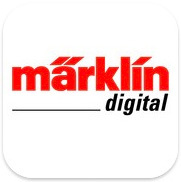 This app connects to your CS2 and provides the same locomotive control and accessory/solenoid control of the Marklin Mobile Station in a $6 app. If you already own an iPhone and have a wireless home network, it is a great way to add a wireless handheld controller! If you have a Marklin Central Station 1 see the TouchCab app below for similar functionailty. 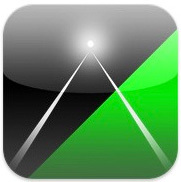 Another app that makes your iPhone,iPod, or iPad a wireless digital controller for controlling locomotives and digital accessories. TouchCab is available in both a feature-limited free version and a full-featured $8 version. It works with either a Marklin Central Station 1, ESU ECoS command station, or a Lenz Digital Controller with a network interface.